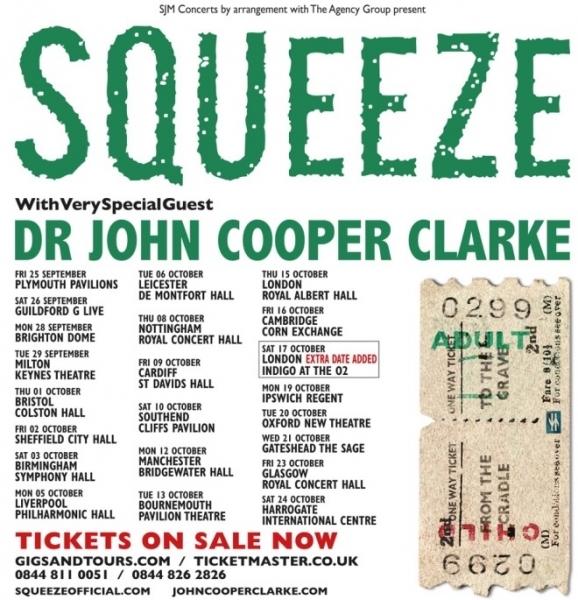 Squeeze performing their Cradle To The Grave Tour at The Royal Concert Hall Nottingham on Thursday 8th October 2015. 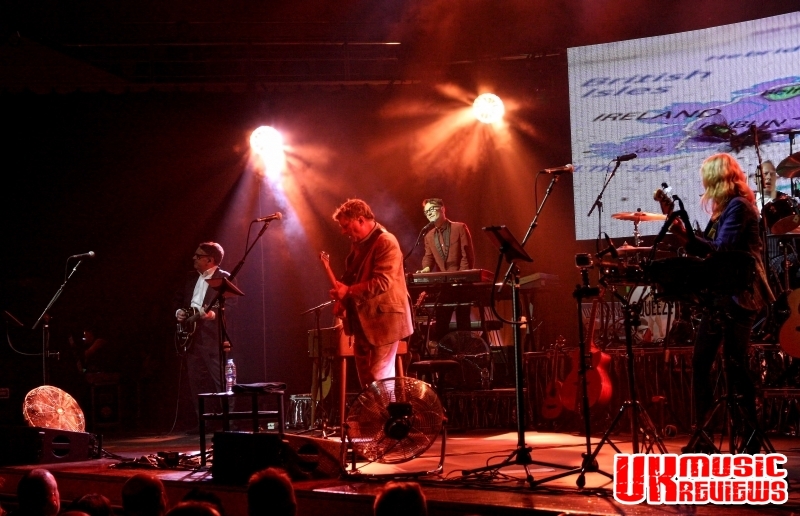 Forty two years after Glenn Tilbrook formed the band with co-song writer Chris Difford, Squeeze are back in the mainstream thanks to songs from their latest album featured in Danny Baker’s hit sit-com, Cradle To The Grave, and tonight they came to The Royal Concert Hall Nottingham to promote this first album in seventeen years. 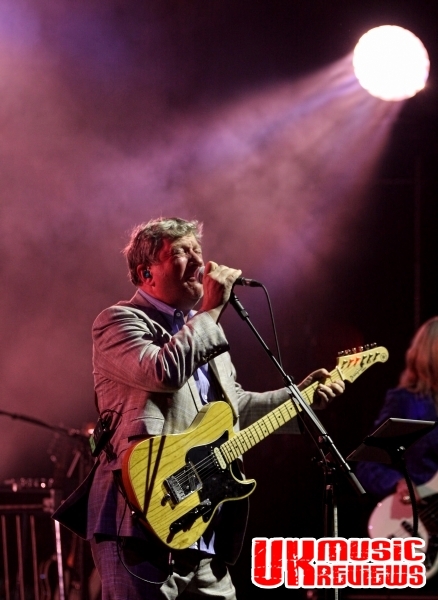 With a screen showing videos and clips from the past, Squeeze took to the stage and launched into their biggest US hit, Hourglass. Tilbrook then announced that he was feeling under the weather, and asked this eager audience to help him out with the choruses. 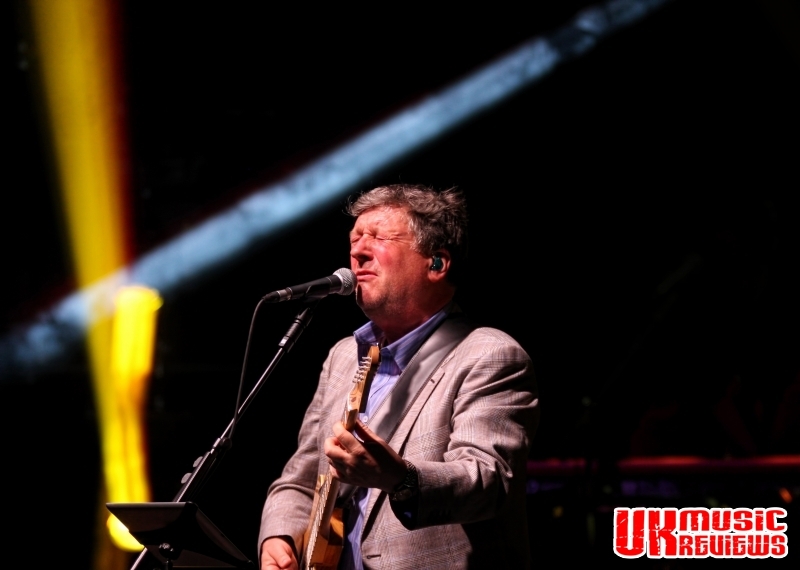 Following up with Is That Love and Another Nail In My Heart, it was clear that Tilbrook’s vocals were being partially obscured by too much drums and bass. Coupled with the croakiness of his voice, it all sounded a little off kilter. 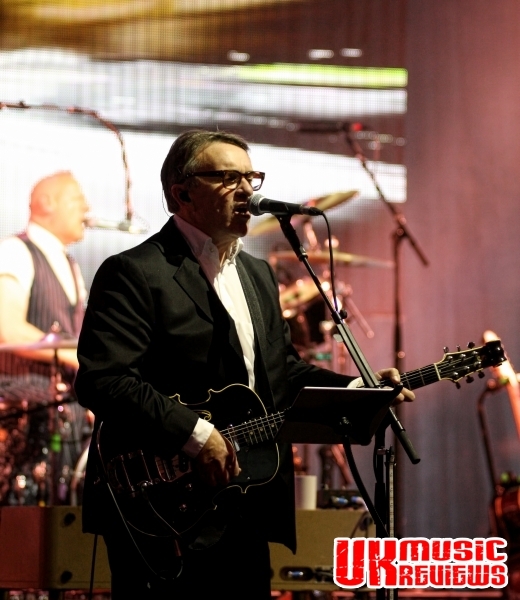 Showcasing eight new songs from their eleven track album, the set list was heavily weighted in its favour. Highlights were Beautiful Game, with excerpts from the 1966 World Cup Final, between England and Germany, being shown on a screen behind them, and their latest single Happy Days. But it was Cradle From The Grave which eventually got this crowd on their feet and the concert really took off. Halfway through there was the gentle rolling of Labelled With Love, which was complete with the audience singing the chorus as though their lives depended upon it. There was the raucously reinvented Slap And Tickle, which along with Black Coffee In Bed was delivered acoustically, with the band lining up along the front of the stage. With Lucy Shore playing double bass and the jaunty addition of an accordion, the wistful pop of Goodbye Girl had the crowd on their feet. Then came the run of undeniable brilliance that sent The Royal Concert Hall crazy, a fantastic Tempted, Pulling Mussels (From A Shell), the punk reminder Up The Junction and the jewel in the crown, the undeniable Cool For Cats. 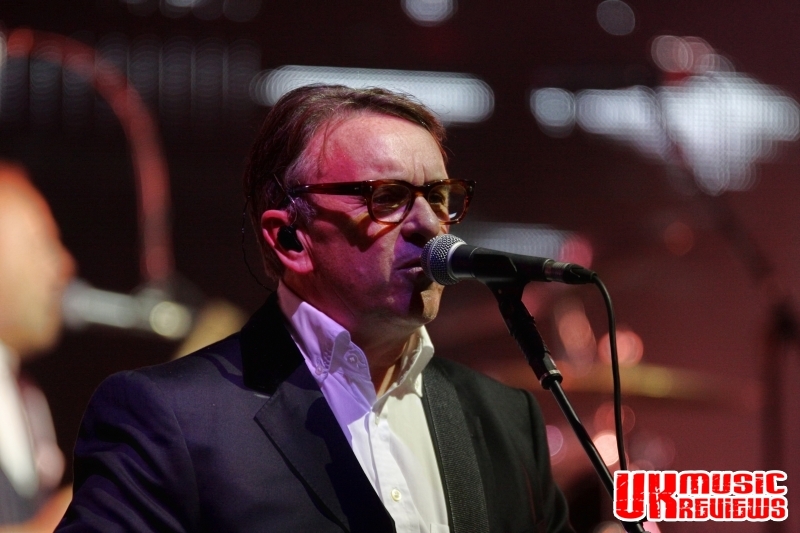 Finishing with the brilliant Take Me I’m Yours it is clear that Difford and Tilbrook are brilliant songwriters worthy of being in the same bracket as (John) Lennon and (Paul) McCartney or Stax’s Isaac Hayes and David Porter. Watching the greatest song writing partnership of the 1980’s is still an absolute pleasure.